Far From Home Teaser: Return to Uganda from Galen Knowles on Vimeo. 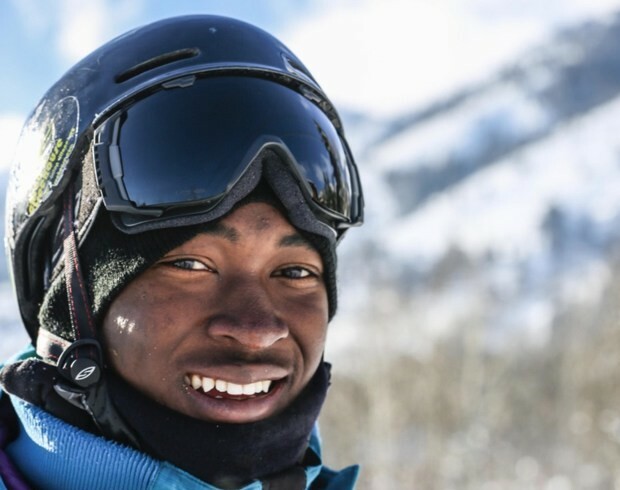 Brolin Mawejje isn’t your average SLC snowboarder. “Far From Home” is a new documentary telling this 20-year-old’s incredible story: To start, he spent his first 12 years in Uganda, raised by a single father of seven kids and facing all the usual challenges of living in sub-Saharan Africa, including attending boarding school where beatings were the norm. Then some luck struck: His birth mother, who had been living in the U.S. for Mawejje’s entire life, arranged to bring him over to the Boston suburb of Lincoln, Mass. On the way to the embassy in Uganda to arrange a visa, Mawejje’s three-bus convoy was raided by a rebel group. As his bus escaped, the people in the first two buses were beaten and raped. In the U.S. he was was bullied nonstop for not being able to speak English, and developed issues with anger and depression that could have sunk him. Having to look after a teenage boy proved too much for Mawejje’s mother, so he was shuttled from home to home and left to fend for himself — as a seventh-grader. Kind souls helped him out, but he had to watch two father figures battle cancer along the way. This developed his nascent interest in becoming a surgeon, a long path he’s now pursuing with a vengeance. At age 14 he met Phil Hessler, who would eventually become the producer behind the “Far From Home” documentary of Mawejje’s life. Hessler and some other shredders introduced him to snowboarding, which gave him a much-needed escape from his troubles and the power to live in the moment, not in the past. The Hessler family even brought the Ugandan to live with them in Jackson, Wyo., for two years, where he finished high school. 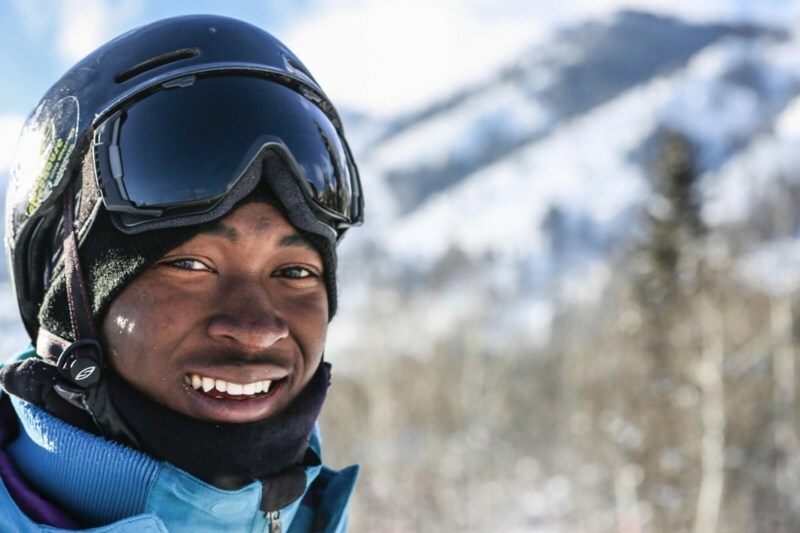 Mawejje, who has seen more and done more by 20 than most Americans will in a lifetime, now works on his pre-med studies at Westminster College in Salt Lake City, Utah — with a full academic “sponsorship.” He is also competing in Utah slopestyle events and has his eyes set on becoming the Ugandan snowboard team for the 2018 Olympics.This Olympic dream might sound far-fetched, but Mawejje clearly eats far-fetched for breakfast. We caught up with him to see how he keeps all his balls up in the air. ESPN: So, Ugandan snowboard team for the 2018 Olympics? Brolin Mawejje: It sounds like an amazing experience, kinda like the Jamaican bobsled team! One day I hope it to be a dream that will come true. Africa needs to be represented in the Winter Games, too, and a snowboarding team would be an incredible representation to start out with. Showing others that have an interest in winter sports and are from Africa that it can be done no matter what would be the best accomplishment in my life. He’s seen more with these eyes in 20 years than most people will see in a lifetime, but Brolin Mawejje is still smiling. I watched a video about a kid in South Africa who would walk about 3 miles a day just to try this new sport, snowboarding, at a local hill. In Africa?! I never knew there was a ski hill that locals could learn all about snowboarding. I wish I could make that walk with that kid and show him that we can both work on our dreams. Maybe he can start the first South African snowboard team. How would you describe your upbringing in Uganda? My upbringing in Uganda was humble and very cultural. As you imagine, Uganda is a poor country with its own troubles that many couldn’t understand. Growing up my father was poor, doing all he could to raise a family of eight, and at times I would live with my grandparents and various relatives. I had a lot of freedom to explore the village and my surroundings, sometimes landing myself in trouble. My father valued education, telling me if I am lucky and get educated I could go far in life, so when the money was available my father would send me to a local school. How did your boarding school in Uganda compare to the challenges you faced on U.S. playgrounds? The challenges that I faced with kids in the American school system were the same as boarding school in Africa. School in Africa, students would prey on other students, something that is also seen in the schools. But this type of preying was worse — there was nowhere to turn to get help, and you knew that if you tried it would only get worse. The way the system and the schools were run doesn’t compare to the American system. To this day, my experiences at boarding school in Uganda still leave a shaky feeling inside me that I can’t explain yet. As a kid in Kampala could you even imagine riding Jackson Hole with 2 feet of pow? There is nothing better than waking up on a bluebird morning after it has snowed 3 feet the night before in Jackson. I live with the greatest family anyone could ask for: four boys all within the same age, and they all throw down on the mountain. They have truly inspired me, and waking up to that morning and knowing there’s going to be multiple laps of fresh pow puts butterflies in my stomach. I never go inside when I am snowboarding, so on a perfect day you know I’m going to play all day. At 20 years old, you’ve already been through a lifetime’s worth of hardship. What has enabled you to keep grinding and not give up? I wouldn’t say that it kept me grinding, but my anger surely kept me motivated. I’m not sure why I was so angry as a kid, but it worked out good for me. When I came to America, I got culture shock — especially moving to a city like Boston, where everyone is confident and tough-minded. I wanted to be equal to everybody. … I could tell that the kids thought I was some Bushman with no brain, and that made me angry. Being able to stand up and say, ‘I’m as smart or smarter than you,’ motivated me to excel in the classroom. I had a little pride in me carrying me to do well in sports and gave me the courage to not be afraid to ask for whatever I needed to get to the next level — whether in sports or school. When we say he can snowboard, we mean he can REALLY snowboard. What made you choose surgery as a life path? Medicine was just a natural calling for me as I was growing up and seeing what was happening around me. Spiritually, I have always felt that I was born to cure and heal, I just wasn’t sure how I was going to get the powers that enabled me to do so. Uganda doesn’t have the greatest medical system, and I knew from a young age if I had the power to cure, that I would change this. It wasn’t until after I had come to America and became used to the culture that I started thinking about surgery. I knew that I would be able to try my hardest and pursue a medical career . The more I thought about becoming a doctor, the more I thought about the human body, and my interest in sports helped this curiosity grow. As the years have gone by I have started to chase this curiosity and figure out what exactly makes the human body so incredible and fascinating. This curiosity I had as a kid has led me to believe that becoming a surgeon would be the best way to figure out the answers I have been looking for. I want to learn how to fix the body, from muscles to tendons to ligaments to nerves. I don’t care how tough and long this is going to take me. I’ve prepared myself and am ready to hoe that row. What’s the hardest part about pre-med for a snowboarder? [Laughs] There are a few things hard about pre-med. The biggest one that I run into is trying to have a life outside the labs. It isn’t the easiest thing to sit in the library for hours knowing it could be a killer day on the mountain with your boys, but I have to. School isn’t the only thing that I have to do to get into medical school. I have to volunteer — which I love to do — but this means that I have no time for anything else and I have to spend some nights up studying to get caught up with my schoolwork. Unlike every other kid, my summers are like going to a harder school. I spend my summers working at Mass General Hospital doing research that is very difficult to understand and spending my days and nights just to understand the material. I have to make sure that I am prepared every night before going to work in the morning. I don’t like to disappoint, so I make sure that I put in enough time understanding the work, which means I don’t have a summer. I know I’m going to be broke for the next decade, but I have no time for a job if my dreams are to come true. Who’s your favorite snowboarder riding today? Travis Rice is my favorite snowboarder in the world. I watched “That’s It, That’s All,” and from there I was hooked on the guy. My first time in Jackson doing the freeride team, I had an opportunity to do dry-land training with Travis. What a cool guy; my heart was racing the whole time, but I did not want him to see that. I asked him a couple questions during [trampoline training] one night, and he was more than willing to help me figure the movements out. The times I got to ride with him when he took laps with the team were amazing. He inspired me to learn how to ride powder and explore Jackson’s terrain. How are you hoping this movie — and your incredible story — will resonate with viewers? I hope that viewers find it inspiring and can be motivated by the story itself. I’m not too sure how people are going to take it. [Filming it] has allowed me to learn about myself and figure out the kind of person I am. Anything is possible, and as I look back on my life, I can confidently say that any person in the world can do whatever they put their mind to. Of course you need a lot of hard work, and as people see that determination and the effort you put in, then the luck comes. The harder you work the luckier you get — I truly believe that. Footnote — Brolin Mawejje is the last born child of a Ugandan resident in Massachusetts Annette Nanyombi. For more information on “Far From Home,” which is set to release Fall 2014, go to the official site, Farfromhomemovie.com, or check out the movie’s page on Kickstarter.